This award winning farm is designed especially for children aged under 8. There is loads to do with toddlers including feeding the animals and playing in the indoor and outdoor play areas. There is also a straw mountain, a cow bouncy castle, tractor trailer rides, woodland walk and 100 seater cafe and shop. RSPB Arne, overlooking Poole Harbour, is a great place to take a toddler in Dorset at the same time as introducing them to nature. There are family friendly walks, a Bird Bingo game which gets toddlers searching for bugs, flowers and wildlife and special events such as Build a Bug Hotel. Toddlers can also borrow a Wildlife Explorer backpack with exploring tools. There are so many amazing beaches in Dorset which are perfect for toddlers. 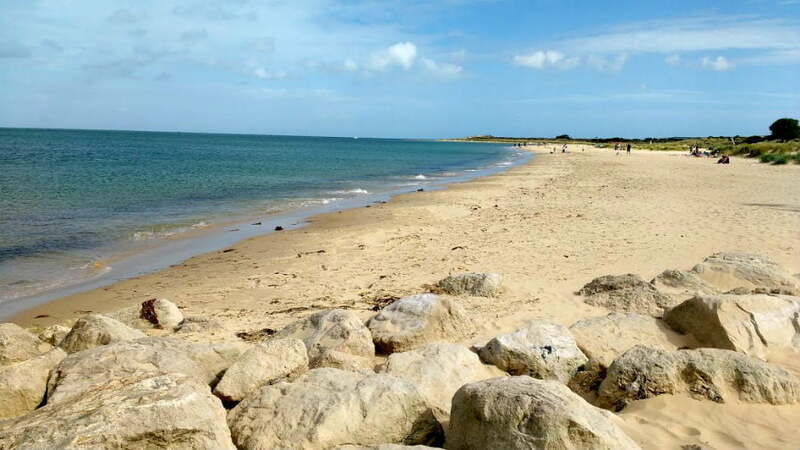 If you are looking for a seaside resort, you can’t beat Weymouth or Bournemouth, but if you want pure white sand, you need to go to Studland Bay where you also get great views over Sandbanks. Brownsea Island has deserted castaway type beaches, and Swanage is a little seaside town with famous Punch and Judy Shows. Find out more about Dorset’s best beaches for toddlers. 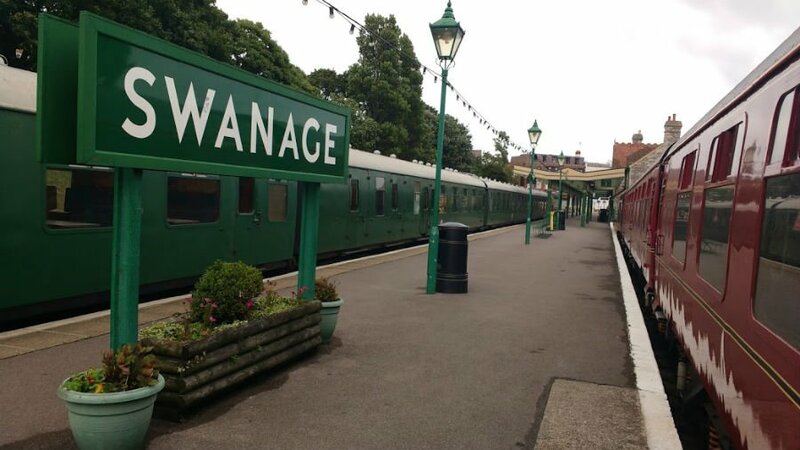 Train fans will love a trip on the famous Swanage Railway, which chugs from Swanage centre to Corfe Castle, which was the inspiration for Kirrin Island in Enid Blyton’s famous books. At just 13 minutes long this train journey is ideal for toddlers with short attention spans. Brownsea Island is an island in Poole Harbour which is run by the National Trust. At just 1 ½ mile long and ¾ mile wide, Brownsea Island is a great size for toddlers to be able to explore a whole island in a day. Brownsea is home to the rare red squirrels, deer and is a haven for birds which nest in the island’s lagoon. The Great Brownsea Storybook trail (donations welcome) is a trail around the island where children can discover the Troll’s bridge, get to sit on Alice’s seat or grow Rapunzel’s hair. There are also loads of exciting natural play areas on Brownsea Island, and views over Poole Harbour. The Monkey World Ape Rescue Centre is an ape and monkey sanctuary and rescue centre in Dorset. Toddlers will love seeing all the monkeys and apes, as well as playing in the playground and the indoor soft play area in the restaurant. 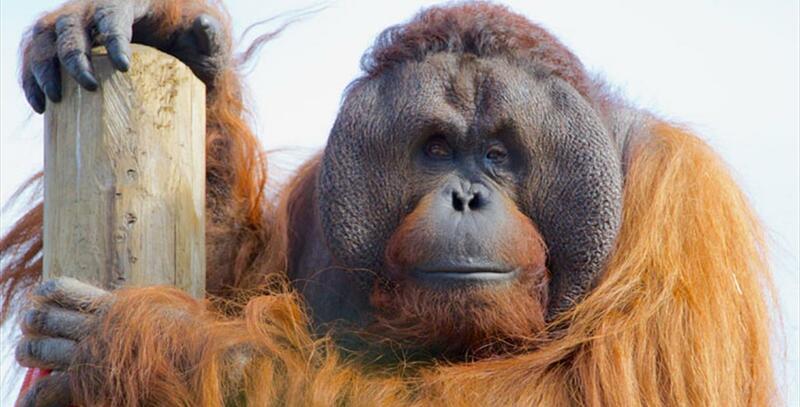 The TV show, Monkey Life is also filmed here, so you will get to meet the stars of the show! 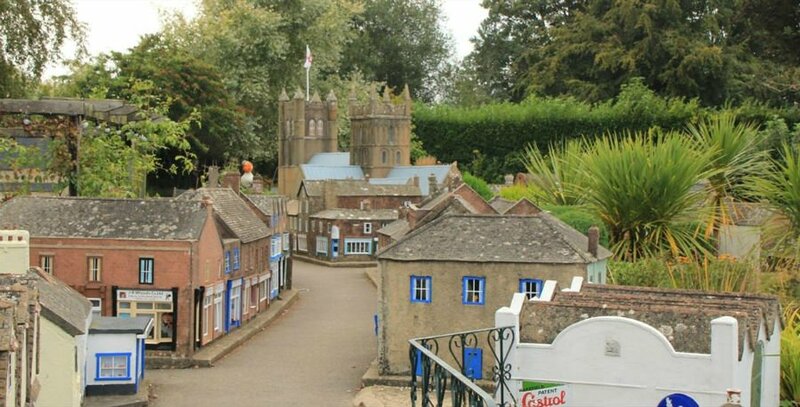 See a 1/10th scale model of the historic town of Wimborne Minster exactly as it was during the 1950s. Toddlers can get really close up, and even touch the buildings and see inside the Butchers, the Ironmongers, the Bakery and the Fishmongers. Wendy Street is a designated safe play area for little visitors comprising of 4 Wendy Houses where toddlers can play for hours. There is also an outdoor chess game, putting lawn and working Model Railway. 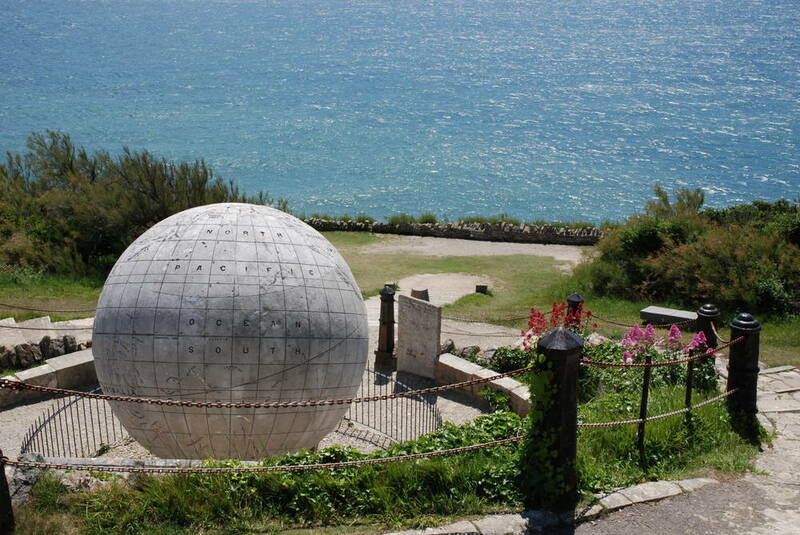 Durlston Country Park is located on the south-east corner of the Isle of Purbeck overlooking Swanage. At Durlston, there is 320 acres of very special countryside and amazing sea views, where you may be lucky enough to spot dolphins, seals and basking sharks depending on the time of year you visit. 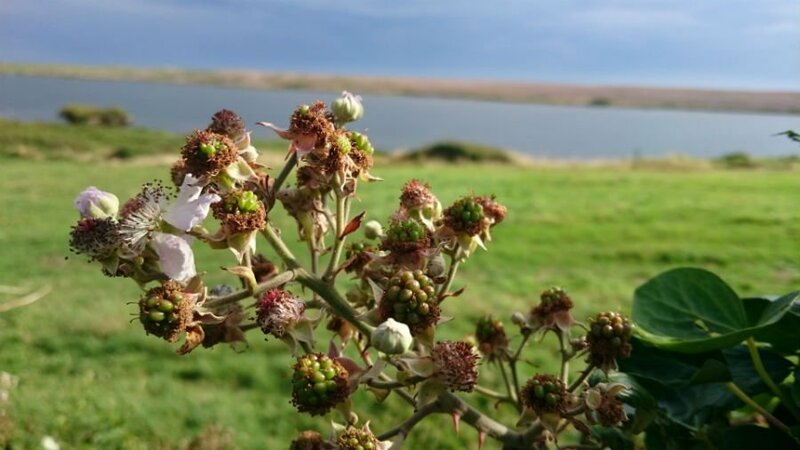 There are walking trails around the country park, but the Visitor Centre is a must for all as you can find out about recent wildlife sightings and live wildlife. The Seventhwave Café is well worth a visit – particularly, on a sunny day when you can sit outside and enjoy the sea views. 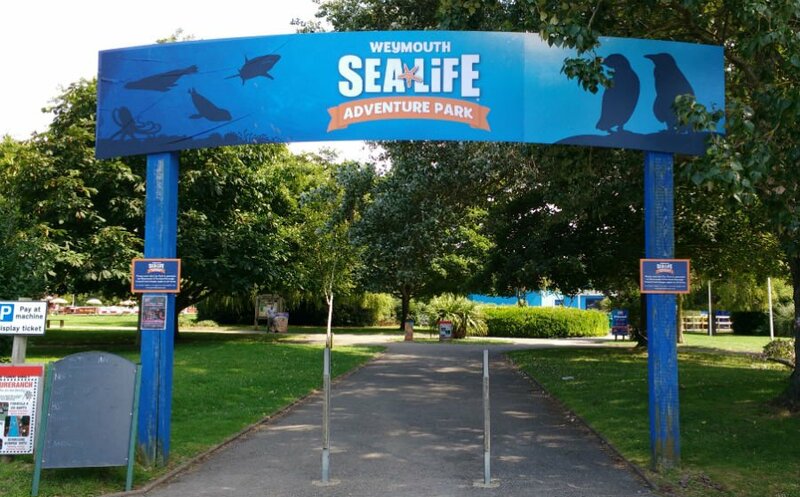 Located just across the road from a stunning beach, the Weymouth Sealife Centre is a 14 acre park with indoor and outdoor exhibitions. There are over 1000 creatures to see, a Turtle Rescue Zone, an interactive rock pool and a Caribbean Cove playground. Admission also includes entry to the Jurassic Skyline which is a tower overlooking Weymouth, Portland, Lulworth and beyond. A viewing capsule slowly rotates a full 360 degrees giving you uninterrupted panoramic views up to 26km. See amazing sand sculptures created by talented artists from around the world at Sandworld – Weymouth’s sand sculpture festival. This attraction isn’t open all year round, so check the website for open hours before visiting. There are sand sculptures, a café and activities where children can try sand sculpting for themselves. 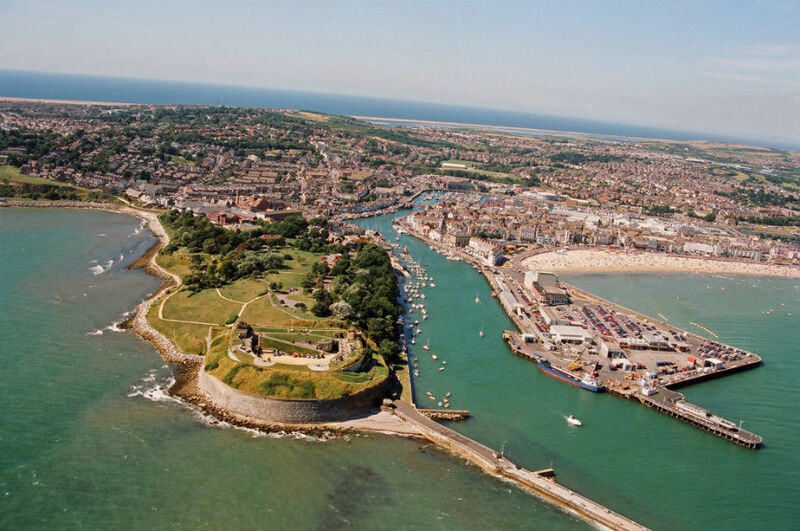 Situated at the mouth of Weymouth Harbour, Northe Fort was constructed in in 1872 to protect Portland’s harbour, which at this time was becoming a prominent base for the Royal Navy. 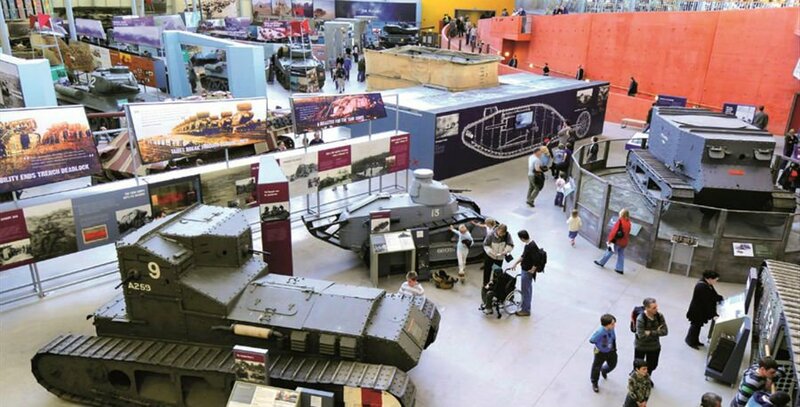 Nowadays it is visited by families who want to learn about its history and see its collection of guns, model ships and submarines. There is a children’s trail around the fort where children can find little mice and get a certificate afterwards. Every other Sunday you can even watch the cannon being fired. This is the only place in the world where you can get close to a colony of nesting Mute Swan. 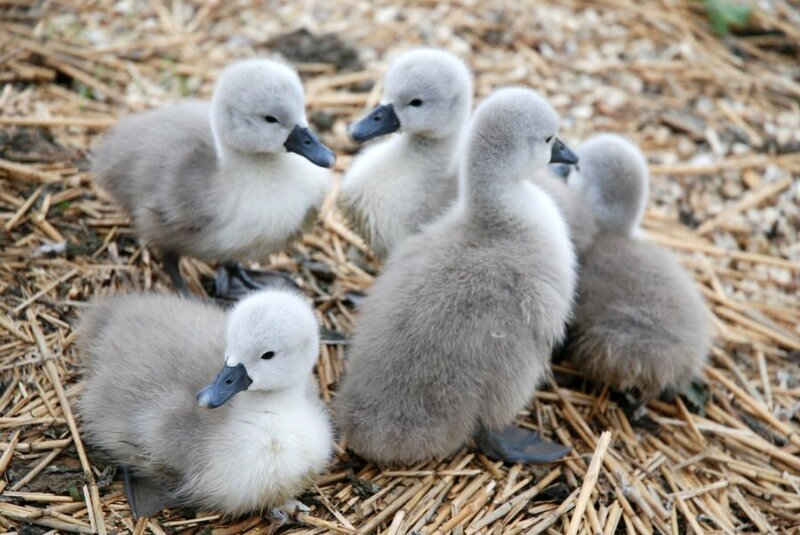 During the nesting and hatching period (end May-end June), it is possible to be standing next to hatching eggs and see the fluffy baby swans being born. There is also a Giant Swan Sensory Maze, pedal go karts and a Bale Mountain to climb. Abbotsbury is also home to the Abbotsbury Subtropical Gardens and Children’s Farm which you can visit at the same time. Top Tip – It is cheaper to buy a Passport Ticket to all 3 attractions in advance. A must for dinosaur fans! At the Dinosaur Museum in Dorchester, toddlers can see dinosaur skeletons, walk among life-size reconstructions of the Stegosaurus and T-Rex, and have a dig in the excavation pit to try and find your own dinosaur fossils. You can also smell the breath of a T-Rex and touch real fossil displays of dinosaur heads, teeth, eggs and even Poo! 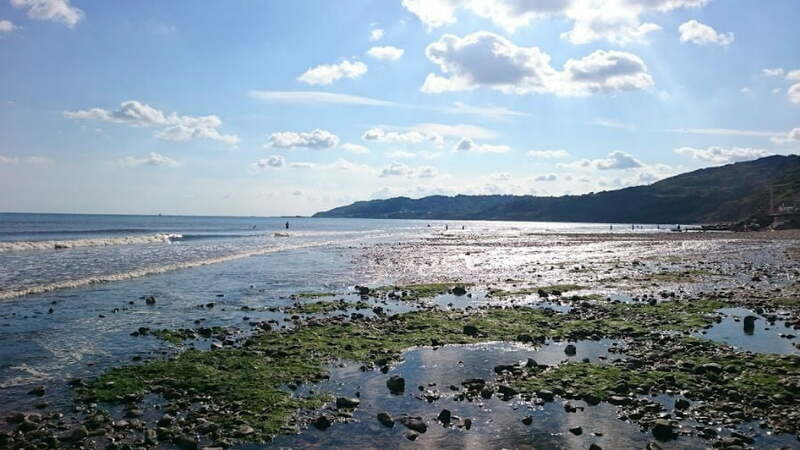 Dorset is known for its fossils, and fossil hunters should pay a visit to the famous Charmouth Beach to see what you can discover. At the Charmouth Heritage Coast Centre you can find out how to hunt for your own fossils by joining one of the regular guided fossil walks. 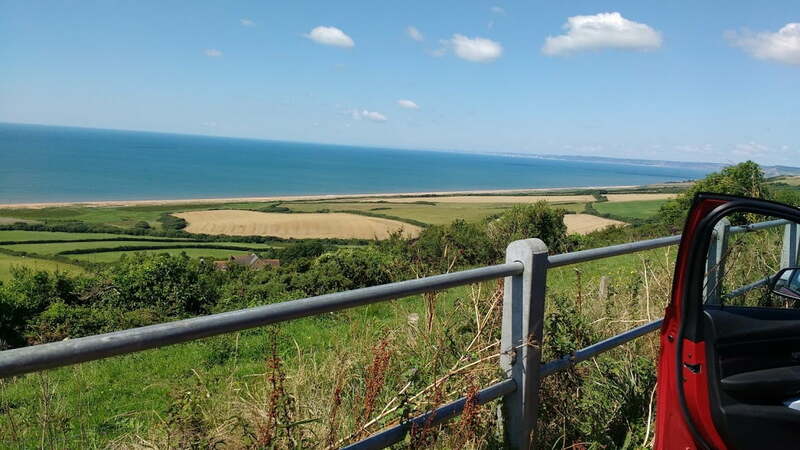 The B3157 Jurassic Cost Drive is 18 miles long from Weymouth to Bridport offering spectacular views of the coastline and countryside. 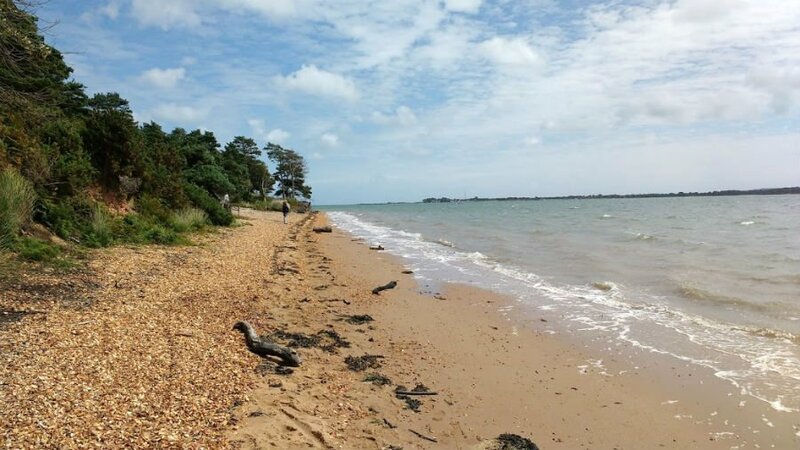 Pack your beach stuff and a picnic in the boot, and spend a day driving along the route stopping off at beaches and seaside towns whenever you fancy. We loved West Bay (where Broadchurch was filmed! ), and the up market resort of Lyme Regis with its famous harbour. 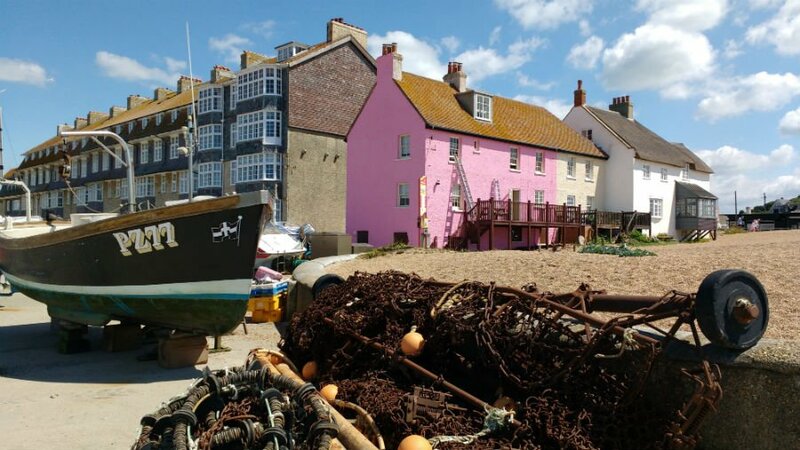 As toddlers probably won’t know much about Broadchurch, you still have a look around this little seaside town before taking them crabbing on the harbour side. There are plenty of places where you can buy buckets and string and then it’s just a matter of waiting to see what you catch! A British tradition! 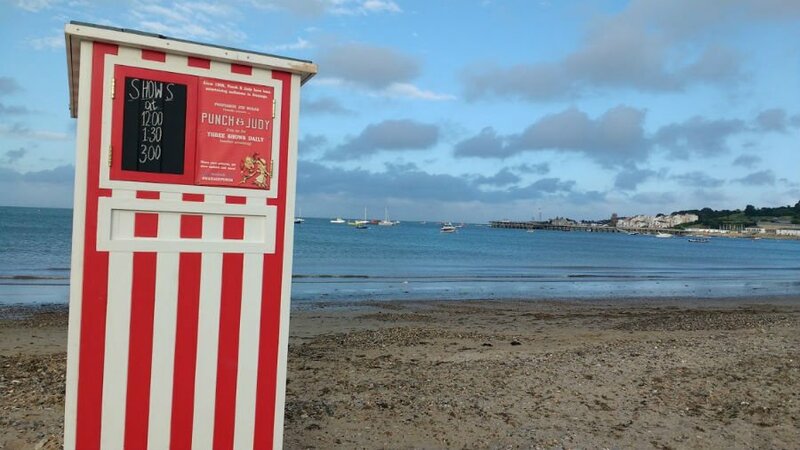 Don’t miss taking your little one to see the famous Punch and Judy show on the beach at Swanage during the summer months. There are 3 shows a day (weather permitting) and tickets cost £1 each. 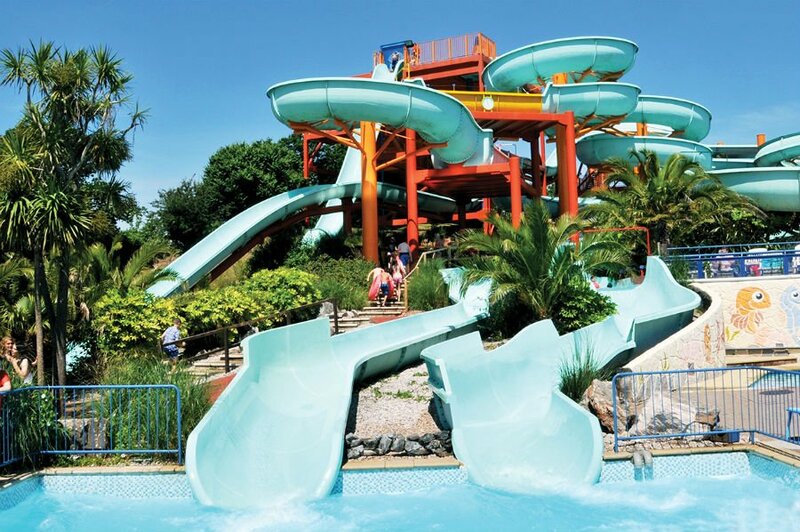 Perfect for a rainy day, the Splashdown Waterpark in Poole has 13 indoor and outdoor flume rides, and 3 Under 5’s splash zones. Toddlers will love swimming in Ricky’s and Buccaneers’ SplashZone which is a watery, interactive playground for under 8s. There is also a soft play area next door. Top Tip – Splashdown can get busy when it is wet and during school holidays, so it might be best for families with young children to go just after opening or later in the afternoon. Another option for a rainy day – Putlake Adventure Farm near Swanage is a real working farm with animals, tractor rides, outdoor play equipment, go karts, trampolines and birds. There is also a giant indoor soft play area with slides, ball pits and tunnels. 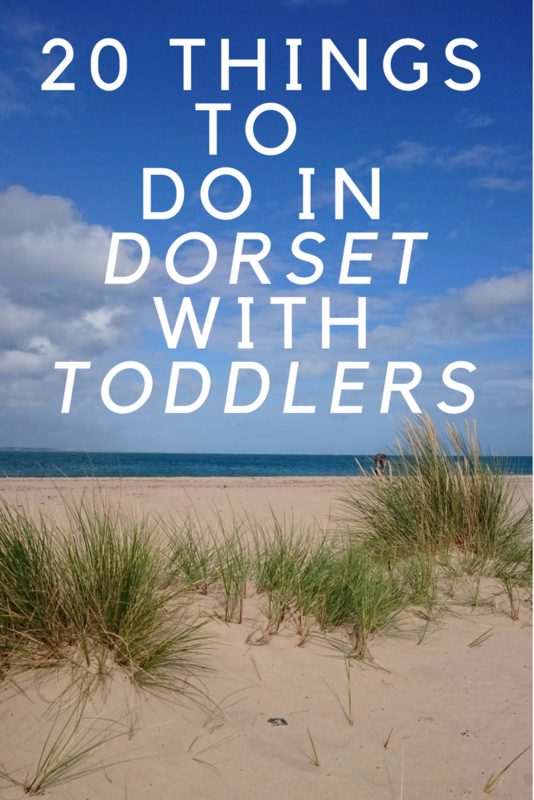 Have you any recommendations for the best days out in Dorset for toddlers? Let me know in the comments below if you do.